In 2005, my son Breyon was born three months premature and weighed only 1 pound. After many months in the NICU and a long, rough journey, Breyon survived but was diagnosed with a severe case of cerebral palsy, hydrocephalus, epilepsy, and partial blindness. 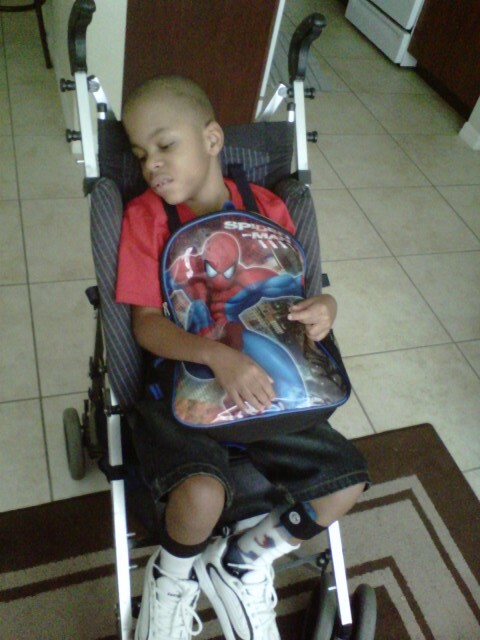 Breyon is unable to walk on his own; he cannot talk, feed himself, or even hold himself up. He is completely dependent on me for everything he does. Breyon communicates by making “happy noises”, and when he is tired, hungry or in pain, he will communicate by crying out. Despite his limitations, my son is truly a miracle, and an Angel from God, and I wouldn’t change anything about my life with my loving and dear son, Breyon. 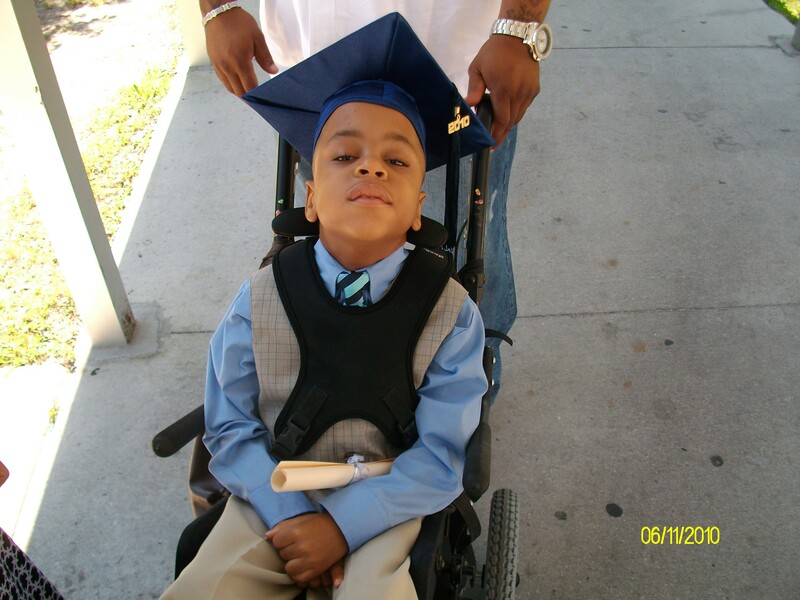 But we are now reaching out because we need your help in purchasing a new van for Breyon. I am a single mother to Breyon and have dedicated my whole life to caring for my son. Transporting him to medical appointments, physical therapy, and rehab. has become increasingly difficult. Music therapy and groups with children like Breyon, have been invaluable to his care and wellbeing. Breyon’s love for music and his happy response to animals, has given me more and more incentive to take him to music therapy classes, animal rehab. programs, and even the zoo! 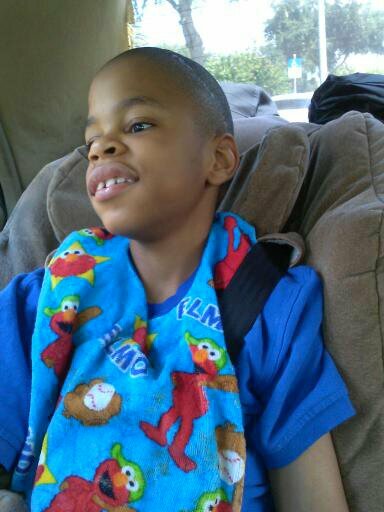 As Breyon continues to grow and enters his eleventh year of life, lifting his heavy body and transporting him with the vehicle we currently own, is almost impossible. Not only is this wearing on my body, but it is very difficult and limiting for Breyon, too. There are risks and dangers for both of us in trying to transport Breyon as he outgrows our car and needs a larger, more efficient vehicle to accommodate his disabilities. 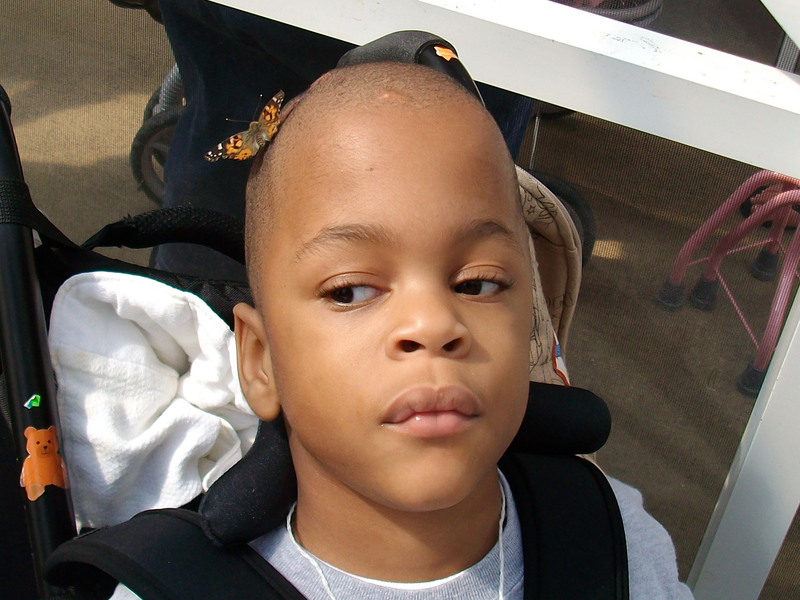 I’ve recently contacted a van dealerships about purchasing an adapted van for transporting Breyon. We cannot do it alone, as the cost for a new van can be upwards of $50,000. This special vehicle will allow me to wheel and secure Breyon in, while I drive him to his much needed therapies and activities. If I cannot fundraise for the total cost of a van, even funds for a down payment will be allow me to purchase a vehicle for my deserving son! Please click “Donate Now” to make a donation. God bless everyone who will donate — Breyon and I are absolutely grateful and we thank you in advance. Thank you for looking at my sons page and donating any amount that your heart desires. It is really tough to transfer a big growing boy in and out of a car. I greatly appreciate all supporters of this capaign. Thank you again and God bless.